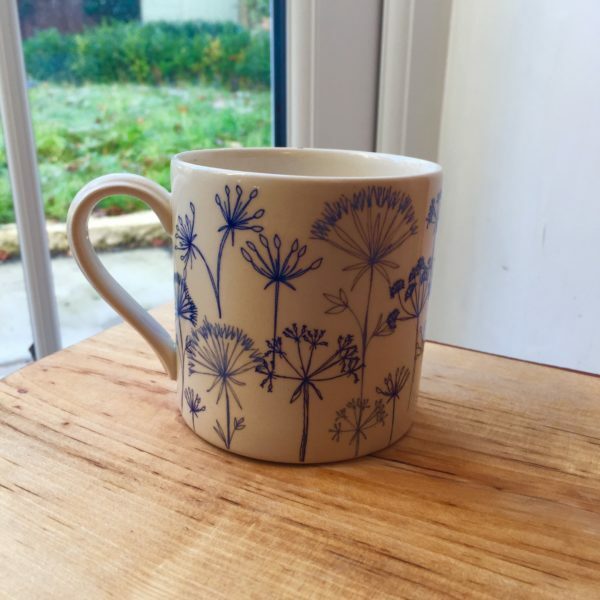 A delicately decorated mug illustrated with seed head drawings in pale and dark blue. 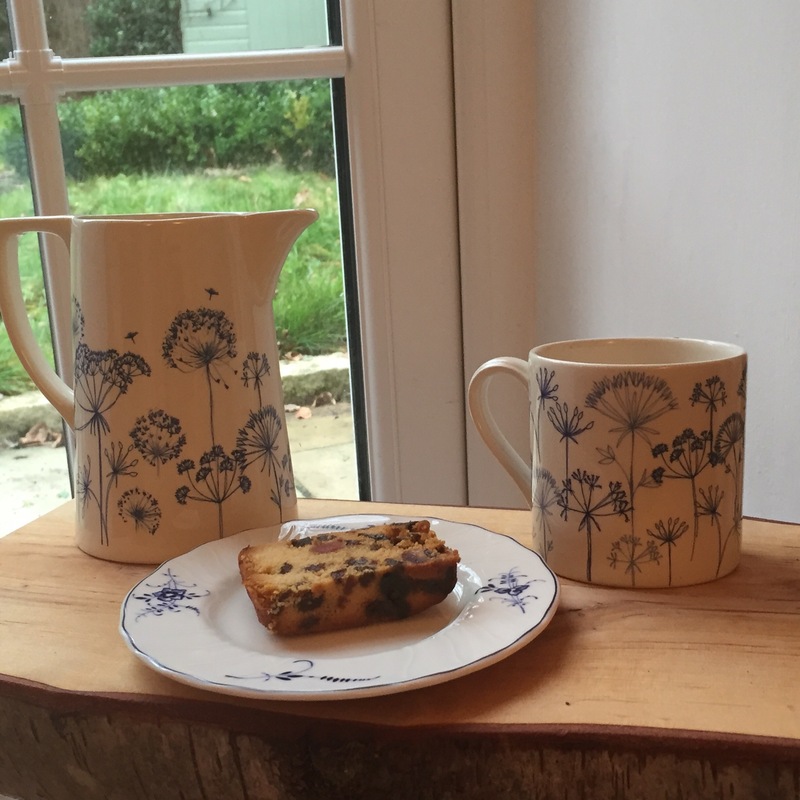 Designed with love by artist Kate, whose work is inspired by the English countryside. Made of earthenware in Stoke-on-Trent. Dishwasher and microwave safe. Holds 400ml and stands 8.5cms tall.